The 2017 INWES APNN Meeting was hosted by JNWES (Japanese Network of Women Engineers and Scientists, Chair, Kayako Sugahara) and held in Yokohama on July 14-15, in conjunction with GWST (Global Women in Science and Technology). 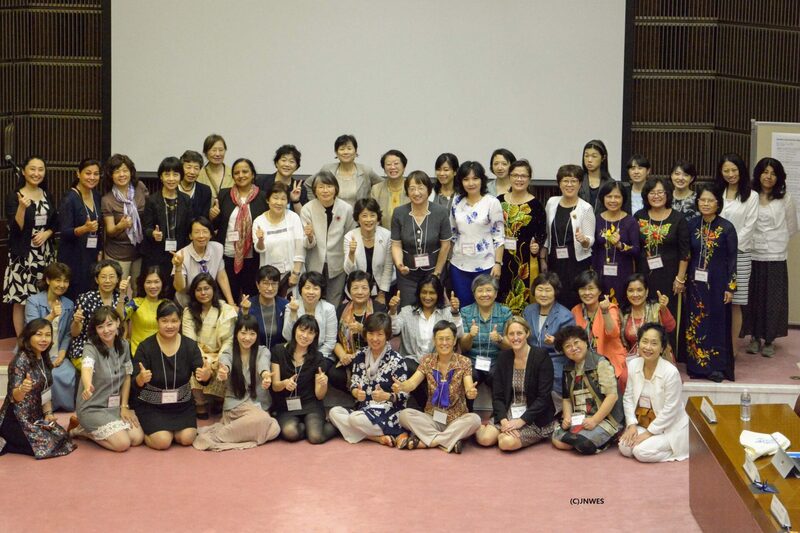 About 70 attendances from 11 countries participated the INWES APNN meeting on July 14. At AGM, the 3rd chair organization, TWiST (Chia Li Wu, president) started its term (2017-2020) and the 8th meeting, 2018 INWES APNN Meeting, was announced to be held at Hanoi, Vietnam, hosted by VAFIW. At the end of 2017, we would be able to share the report of the 2017 APNN Meeting with all. GWST held on July 15 was a great successful event, and about 500 people including professional mentors and INWES members, students (high school, college and graduate school), and people from major companies have mentoring and discussion session, which were well prepared for last two years.